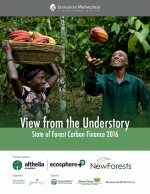 Governments and companies around the world committed a record US$888 million (M) in new funding last year to bolster the planet’s first line of defense against climate change – forests and other carbon-absorbing landscapes – according to a new report from Forest Trends’ Ecosystem Marketplace, View from the Understory: State of Forest Carbon Finance 2016. This funding will remove the equivalent of 87.9 million tonnes of CO2 (MtCO2e) from the atmosphere, roughly equal to the annual emissions of Chile. The new findings come a week before the historic Paris Agreement enters into force just 11 months after it was adopted, ahead of even the most optimistic schedules. The timing is especially appropriate since the landmark document endorses forest protection as a critical tool to mitigate climate change. 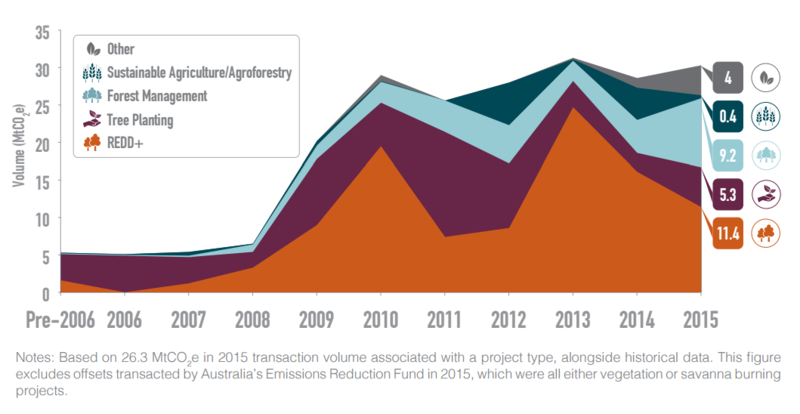 It sends a strong political message in favor of financing activities that keep greenhouse gases locked in forests and other natural “carbon sinks,” particularly through a UN policy known as REDD+ (Reducing Emissions from Deforestation and forest Degradation), as well as other efforts like tree planting, sustainable agriculture and agroforestry, and improved forest management.